Trail running takes a lot of energy and gets you breathing hard. 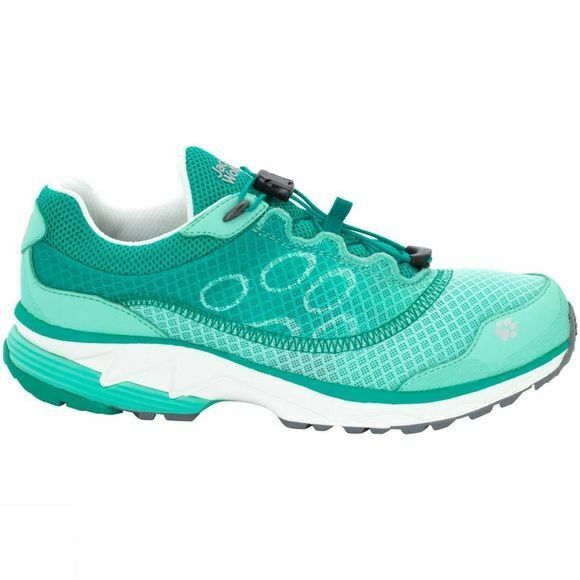 The Womens Zenon Track Low Boot is an extra lightweight running shoe so there's less to carry and you can direct more energy towards your goal. Even putting them on is easy, with just one pull of the rapid lacing system. From the very first step you take you'll notice just how light and airy they feel. The upper is made entirely of mesh fabric. This makes the shoe very flexible and gives a comfortable fit. 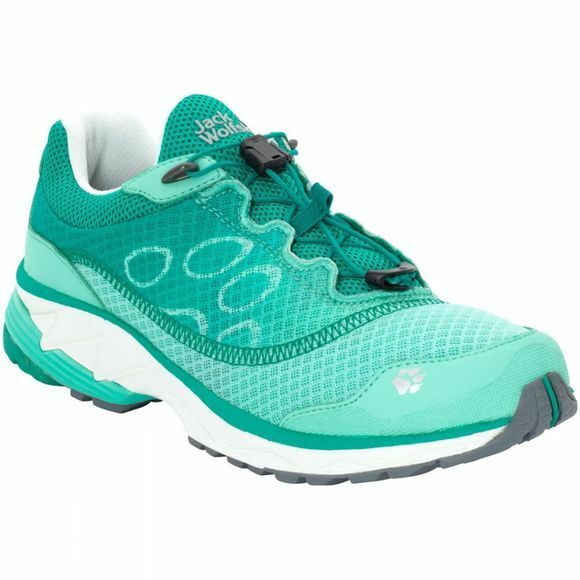 The sole has been designed by Jack Wolfskin to promote stability as it supports your foot and cushions your every step, so you and your feet stay fitter for longer.